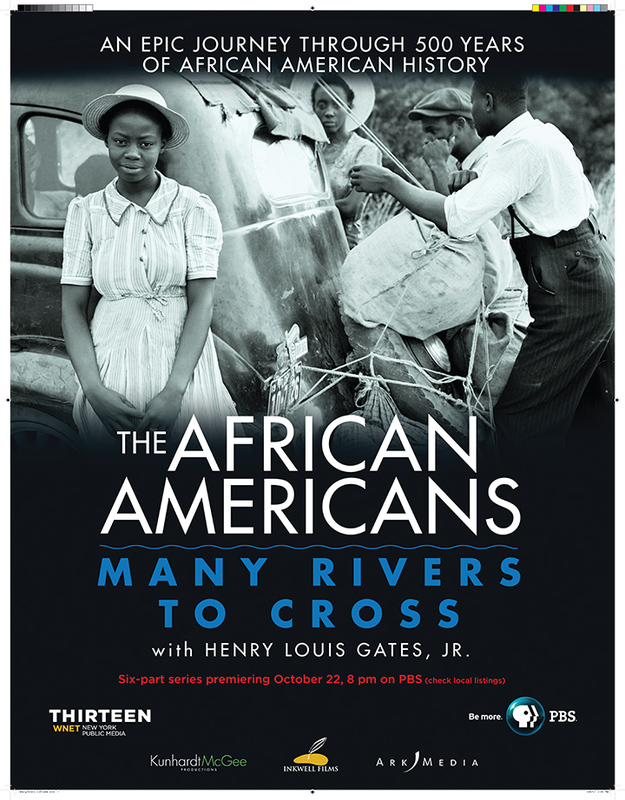 The Avery Institute for Afro-American History and Culture (the community arm of the Avery Research Center), has sponsored the Avery Research Center “Many Rivers to Cross” Education Outreach Project. This project aims to present the documentary to serve as an effective aid to teaching African-American experiences, and particularly those of African Americans in the South Carolina Lowcountry. Twenty local Middle and High schools are being targeted to receive a complimentary copy of the DVD, an accompanying curriculum package, and a workshop session to be conducted at each school. While using the film to establish a foundational knowledge of the diaspora, students will develop skills that will help them identify and explain the relationships between multiple causes and effects by learning to take local micro-study and placing it in a national context. For instance, within the fifth episode Rise! (1940–1968), Gates mentions the pivotal Brown v. Board of Education decision of 1954 and its impact on the nation. Through supplemental material, students will learn how the federal case was implemented in the Lowcountry and how the local case can be used as a study of school integration at large. Each episode will be accompanied with guided lessons, suggested further reading, and primary and secondary sources that will support students learning of the African-American experience. For more information, and if you would like your school to participate, email Daron-Lee Calhoun II at calhoundl@cofc.edu or call: 843.953.7612. Maafa is a Swahili term meaning “great disaster”, and is used to describe the history and ongoing effects of the enslavement of people of the African diaspora. The Maafa includes the Arab and the Atlantic slave trades. This lesson takes an in-depth look into the process of the Middle Passage using primary and secondary sources from the Avery Research Center. Students will finish this lesson with an understanding of terminology associated with this topic; the physical and emotional trauma endured by the enslaved Africans; and the inhumane process of the human trading. “Black Labor-White Rice” explores the institution of slavery in whole with a particular look at its reign in the Lowcountry. Through primary and secondary sources from the Avery Research Center and the Low Country Digital Library, students will finish this lesson with a greater understanding of the economy, life of the enslaved, and inhumanity of the peculiar institution. This lesson examines the many forms of resistance among the enslaved people. Students will discuss factors that may have contributed to the success and failure of the struggle toward freedom. Using sources from the Lowcountry Digital Library and Avery Research Center, students will learn of the pivotal role of resistance in South Carolina and how it affected the institution of slavery across the country. This lesson explores the life of free Blacks in antebellum America. Through primary and secondary sources from the Avery Research Center and Lowcountry Digital Library, students will learn about the free society of African Americans in Charleston. We will trace the routes to freedom, organizations established, and the growing inner-racial divides among the freemen. This lesson examines the role of Blacks throughout the Civil War. Through primary and secondary sources from the Avery Research Center and the Lowcountry Digital Library, students will explore positions of Blacks in both the Union and Confederate Army, the sentiments of the enslaved and masters, and emancipation day in Charleston. This lesson explores the rise and fall of the Reconstruction era in the South. Students will examine the Reconstruction Amendments, political and social gains for Blacks, and the ultimate fall of the era. Through primary and secondary sources from the Avery Research Center and Lowcountry Digital Library, students will explore the impact of Reconstruction in South Carolina. This lesson covers the history of African-American primary and higher education in the South. Using the philosophies of Dr. W.E.B. Du Bois and Dr. Booker T. Washington, students will study the differences between the classical and industrial educational models. Through primary and secondary sources from the Avery Research Center and the Lowcountry Digital Library, students will explore primary and higher ed. institutions established for the educating of African Americans, discuss the philosophies of the scholars and apply them to different schools, and the relevance of the institutions in today’s society. This lesson investigates the rise of Jim Crow in the United States and how it was manifested in the South Carolina Lowcountry. Through primary and secondary sources from the Avery Research Center and the Lowcountry Digital Library, students will learn of the causes and implementation of legalized segregation in America. This lesson explores Black Art of the early twentieth century. Through primary and secondary sources from the Avery Research Center and the Lowcountry Digital Library, students will learn of the unique connections the South Carolina Lowcountry has to mainstream movements, such as the rise of jazz and the Harlem Renaissance. This lesson examines the Civil Rights Movement through the concept of the long durée. Beginning with the Anti-Lynching movement and discrimination experienced by Black veterans of World War II, students will receive an expanded timeline of the Civil Rights Movement. Through primary and secondary sources from the Avery Research Center and the Lowcountry Digital Library, students will learn more on the fight for civil rights in Charleston and the influential figures that are often omitted from the popular narrative. This lesson explores the causes and effects of the Urban Riots in the Sixties. Although we will highlight the popular riots such as Watts, Detroit, and Newark, this lesson primarily focuses on uprisings that are lost in the common narrative such as the Harlem riot of 1964, North Omaha protest of 1966, and the Orangeburg Massacre. Through primary and secondary sources from the Avery Research Center and Lowcountry Digital Library, students will learn of the impact of these urban rebellions and juxtapose them to modern day revolutions.